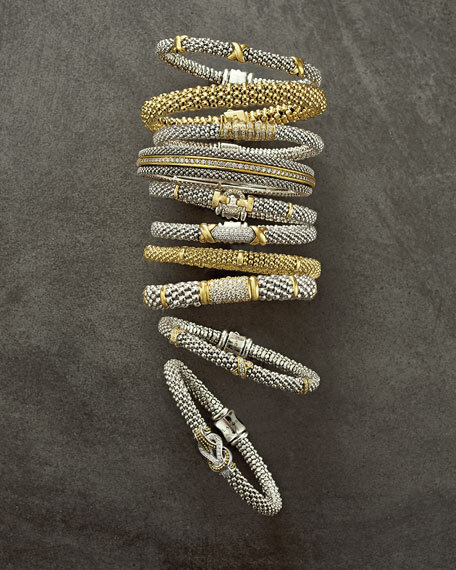 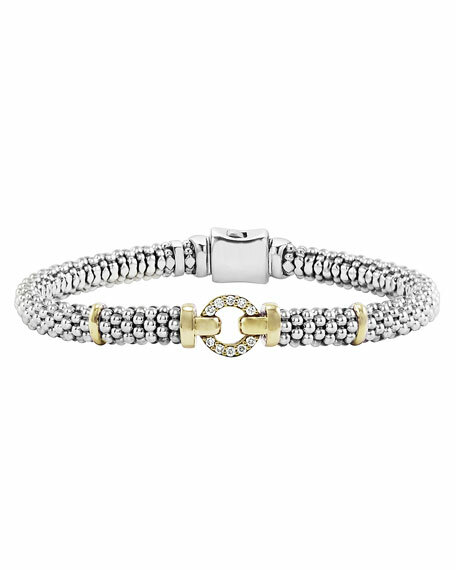 Signature LAGOS Caviar beads and radiant diamonds play with the light and offer opulent shine. 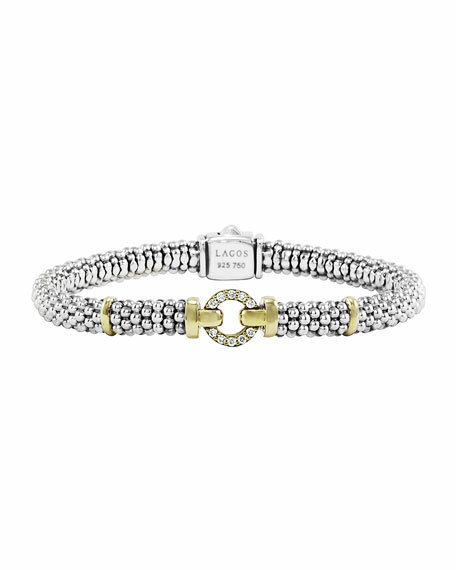 Slim enough to be stacked with other bangles, but striking enough to make great impact on its own, this LAGOS bracelet will serve all situations. 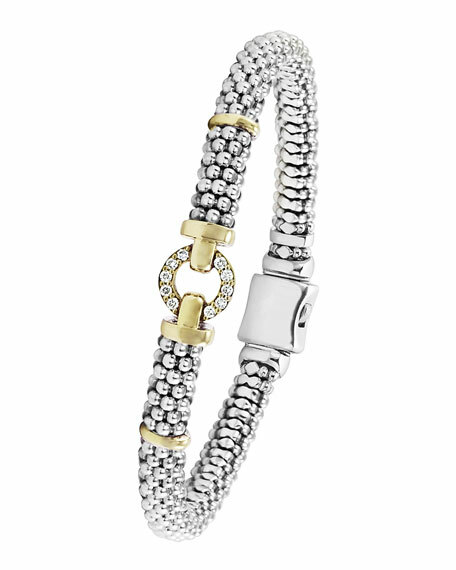 White pave diamonds set in 18-karat yellow gold circle center.